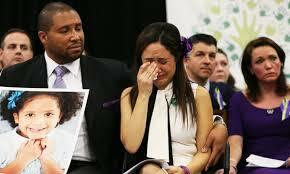 Rockford has a horrible history of young people being dead at a very, very young age. (Gun Violence + Young People + Unemployment) x Little Hope = Local Newspaper Obituaries. As a sophomore in high school in 1976 I started coaching youth baseball during the summer. I went on to coach little kids in baseball for 12 years almost every summer and love each and every ball, strike and out. As a young adult I worked for a local community center in shall I say a “marginal” area of town where gang violence was sadly and tragically abundant. I became creative and dedicated to finding solutions to the gun, gang and young people doing the wrong things at the wrong times and ending up dead. With the assistance of a local YMCA we created a “Late Night or Midnight Basketball League” targeted for “at risk” young people. The program started at 10:00 p.m. and the basketball games ended at approximately 2:30 a.m. Proudly for the last nearly 14 years I have been teaching high school business, computers, newspaper, yearbook, accounting to a population that is represented by 85% free/reduced lunches, 7th highest city crime statistics, and 3rd most miserable city to live. Sadly, I have developed a diverse, complicated first hand knowledge of the difficulties faced in difficult times in difficult at best surroundings. What this program did show was that given a large, complicated problem of gang/young people having nothing to do in the evening with way to much energy solutions could be discovered. We Can and Should Do Better… All Americans deserve the effort…. The time has arrived when Americans must realize that we face a new norm economically and employment growth stagnation. We (Americans) have gotten lazy. With the exception of the nearly constant media circus related to cell phones and other electronic devices. Sadly, most if not all the production of those technologies are manufactured in China, Taiwan, Japan or other Asian countries. Americans have spoken for a second time and chosen the best man for the job of saving Americas bacon for the next 4 years as it relates to job growth and business creation that without fail tends to drive the “mood” or “happiness” feelings of Americans around the globe. 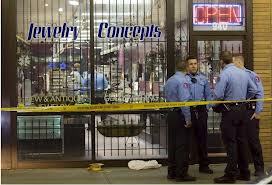 There have been tragic moments of violence in many unsuspecting locations throughout the United States. As a reflex action and in my opinion the least complicated action to be taken gun control was made a priority by our elected few. The time has arrived when “we” Americans must once again get the creative juices flowing yet again and discover a solution not to gun control entirely, but more specifically the reason that violent people need or have the opinion that they need to use a gun to get their issues into the mainstream press. The United States of America became the incredible country it is now due to forward thinking problem and challenge solvers that were able to take adversity and create viable and inspirational industries that exist today and employee thousands of Americans. I am not blowing smoke, but rather envisioning the United States of America taking another step forward to prosperity for all whom are willing to put in the effort to live dignified existence. Solutions can be thought of from a wide variety of people. Often times those that are closest to the problem are often blinded by the bright light that often glows from the complicated problems and issues. The solutions have not been easily discovered and formulated. The challenge that remains are for those that can and currently do control the minds and agenda of out nation take the time to contact me to in fact discover the future of our country the Great United States of America. There is a solution to gun violence, underemployment, unemployment, teen deaths, gang violence, gang growth, mass shootings, gun control, hold ups, school violence, low graduation rates, and other difficulties that inhibit the happiness of Americans. Send an email to: patrickfox016@gmail.com to become a part of the solution rather than a member of the bucket brigade attempting to put out the gun violence by limiting the use of an innate object rather that the spark of that ignites the violence. I think the idea of mandatory background checks is a good idea regardless of any gun violence that has taken place the last 100 years. Sadly, however that will NOT stop the bad guys from getting the guns and doing bad things to good people. I would love to presume that requiring background checks for guns would eliminate the rampant problems of gun violence, but that will not happen. I own a hand gun and I am proud to say I do. I do not feel any gun owner should be upset about a mandatory background check for any intelligent reason. I think any person raising a stink about a background check needs to get a life and get over their insecurities. I hope and pray that at some point we (Americans) will sit down and begin to question not the thought of gun control, but rather what motivates the bad guys to pick up the innate object refered to as a gun and use it for violent means. At what point do we stop holding press conferences touting the fire fighting fixes of gun control to reduce gun violence versus the cause of gun violence and how it can and would be reduced? I have heard it said about the United States of America many of times that we are the greatest country on earth. I happen to believe that in fact we are the one country everyone else look up to. Regardless of our stature, I am 100% confident that in fact “WE CAN TO BETTER”. 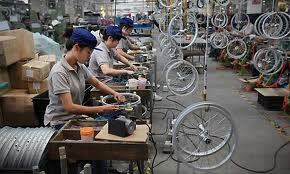 Chinese workers are motivated, proud and demanding of a better more dignified existance. 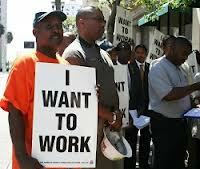 Americans of all colors have a commonality of being unemployed all over the USA. Let me first say God Bless the incredibly highly motivated and proud Chinese workers that desired a better life for them and their familes that had historically been relagated to rice fields and small villages of no wages or little wages. Let me follow up by saying it is about time that “WE” proud Americans tear out a chapter from the Chinese motivational manual and get the desire for a more proud and motivated lifestyle. We Americans need to stop bitching and moaning about the bad rich guys and the liberal or conservative government officials that are being blamed and GET A LIFE. The time has arrived for Round 2 in the Match of the 20th Century for Jobs, Dignity and Family strength via earning a dignified and respectable wage. Sadly, “We” Americans have gotten our butts kicked in Round 1 but the good news is that Round 2 could be a Game Changer for the once Proud American team. I am not rich, I did not attend Harvard, Yale or a Big Ten University or even been elected to a political office. That being said, I do have viable, doable solutions for our high crime rates, low high school graduation rates, high foreclosure rates, high underemployment rates, high unemployment rates, low college education rates that can be directly impacted by a comprehensive, innovative, and entreprenurial effort that very well may mean “We Americans” could win the next several Rounds of the Match of the Century. Rockford, Illinois once a fiancial star of prosperity in the upper midwest is now on the brink of being the Bedroom Community of the Midwest. The once proud City of Detroit reflects where so many once Proud American Cities are destine unless “WE” wake up and smell the roses. 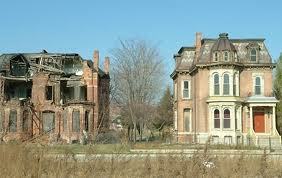 How To Fix Detroit, Michigan and Rockford, Illinois…. They are broken. 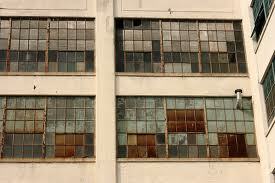 First of all, I must applaud Detroit, Michigan as they have acknowledged they are in need of repair. Rockford on the other hand continues to stick its head in the sand attempting to make jokes of other peoples opinions of just how horrible it is in Rockford, Illinois. Much like Detroit, Michigan in its history Rockford, Illinois is a dead city that have had many people with the best of intentions try to save the city from is current “3rd Most Miserable City in the USA” award as judged by Fortune Magazine. However, along the way regardless of blame or unlucky outcomes both Detroit and Rockford share more in common than Rockford is willing to admit. Some I am sure will say that I am a debbie downer or a buzz kill regarding Rockford, Illinois, but I have solutions for both dead cities that can and will make a difference before it is to late. It is time that both cities stop complaining about the high crime, low education levels, lack of jobs, lack of tax base, lack of hope and begin to disect the causes of each difficulty to have any solution. The solutions are possible. Detroit has acknowelged a desire to find the answers to save their city. I can help. FIND YOUR PASSION AND COMMIT TO IT LIKE IT IS YOUR OXYGEN. The passion to breath is something every American feels on a daily basis. The ability to find your passion for existence is sometimes very complicated. Personally, I have grown tired, exasperated, frustrated and damn angry with the ongoing headlines related to gun violence, violence, unemployment, and sadly the unemployed. In March of 2008 my life changed when I suffered a catastrophic heart attack named “The Widow Maker Heart Attack”. God knows that it has to be bad when it actually has a name. 90% of those that experience the Widow Maker die. Proudly, I am happy to say I am a fraternal member of the “Widow Maker Heart Attack Survivor”. USA is in danger of losing middle class living wage dignity. My entire life I have felt that if one works hard, refuses to give up, and keeps focused success would come their way. At 53 I no longer feel that is a given. Since 2008 when the economic, and financial world of so many Americans were rocked to its core the presumption of success based on effort, motivation, staying focus no longer promised anything. Major companies in the USA have taken their jobs and thus money to North Korea, Japan, China, Taiwan and other locations not located in the USA. 100,000’s of jobs left our shores for in expensive wages, no insurance costs, and little or no regulation. I have nothing against any of those people that have taken the jobs with the companies locating in foreign countries as they have essentially hit the lottery as compared to their prior financial existence. These new employees have gone from working in the rice fields, farms to making what they consider to be a fortune. Back home in the USA… many of our population with limited or perhaps only high school education live in poverty, despair and in many instances complete humiliation and lack of dignity. The populations I refer to is are those that consistently commit the crimes with and without guns, exist on charities, and act as a sponge on local, state and federal budgets. The time to change the direction of the USA and its deteriorating middle class is now. Don’t presume it is going to get better without first acknowledging that in fact it needs to improve.